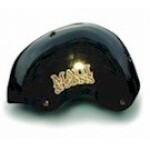 Children's helmet with the latest extended rear neck protection (great during snowball fights) 6-vent shell. Integral peak and "Turntyte" fitting system. 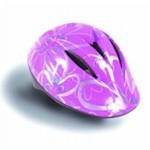 This easily adjustable multi fit system is suitable for all styles and sizes of helmet from children's to adults. The ratchet headband is tightened, loosened or locked by a twin action rotating cam wheel. 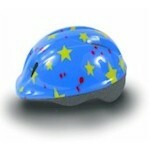 Hi-Gear Cadet Toddler Cycling Helmet (9055).